overseeing the planning, coordination, implementation and evaluation of organizational activities to meet the strategic priorities for CAOT-QC. 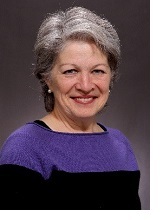 France Verville, is now the Managing Director of the Canadian Association of Occupational Therapists ̶ Quebec (CAOT-QC). She graduated from the University of Laval Occupational Therapy Program in 1982 and received an MBA from the University of Sherbrooke in 1992. France has worked in both the private and public sector with varied clientele. She was a pioneer of local community service centres (CLSC) in remote areas and has been involved in regional work and the implementation of home care programs in three regions of Quebec. France began her practice with work in community services, where she defended the rights of clients. In 1988, she was the first occupational therapist to testify at the Superior Court of Quebec, as an expert witness for both the plaintiff and the defence, in civil and medical malpractice lawsuits. France was also one of the first occupational therapists to testify at the Quebec Administrative Tribunal (TAQ) and Employment Injury Commission (CLP). Her expertise is in the quality and legal context of written reports. She teaches and lectures at two universities and is involved in continuing education at the Ordre des Ergothérapeutes du Québec. “Hoping to use my experience, I am motivated by my new position and my interest for the advancement of occupational therapy practice. I am committed to start the Quebec chapter of CAOT and to work closely with members on representation, advocacy and promotion in the context of influencing positive change within organizations and their environment." representing CAOT at events and functions in the province, as required. I am very pleased to witness the birth of an association of occupational therapists in Quebec. We are fortunate that this association is attached to the Canadian Association of Occupational Therapists through CAOT-Qc. My experience as the Quebec representative on the board of directors of this association has allowed me to ascertain the important resources and experiences in the world of associations on which we will be able to rely: scientific publications, seminars to learn how to advocate for our cause, knowledge based on experience from having developed emerging practices that have not yet made it to Québec, etc. Therefore, I am passionate about my commitment which I see as the commitment of a citizen occupational therapist who is proud to belong to such a rich community.